Scottish Opera was founded by Sir Alexander Gibson in 1962 and was inaugurated with a production of Madama Butterfly at the King’s Theatre in Glasgow. In 1974 the company purchased the Theatre Royal Glasgow, which reopened in 1975 as Scotland’s first national opera house. 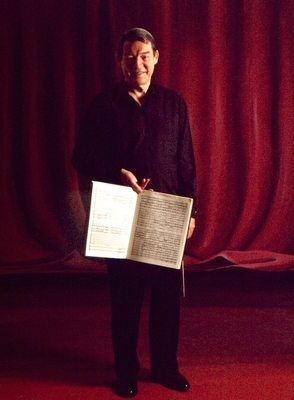 Alexander Gibson became Conductor of the Scottish National Orchestra (SNO) after a highly successful career at Sadler’s Wells and established its international reputation. There were regular appearances at the Edinburgh International Festival ��" he persuaded the director Lord Harewood to establish the Festival Chorus��"visits to Vienna and New York, and, in 1975, the first North American tour by any orchestra outside London. 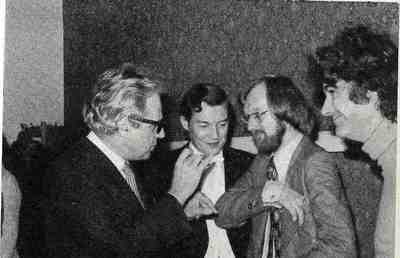 Gibson had a serious commitment to new music and to new Scottish composers, and the repertoire of the SNO introduced composers such as Peter Maxwell Davies and Harrison Birtwhistle to the concert platform. "if all goes well, the scheme will become a significant feature of the musical and cultural life of Scotland in general in Glasgow in particular." Scottish Opera undertook many new works by Scottish composers, such as Thea Musgrave, Iain Hamilton and Thomas Wilson and revived such notoriously 'difficult' classics as the full circle Wagner’s Ring, and a complete performance of The Trojans. International stars such as Janet Baker and Elizabeth Harwood regularly appeared. The company has won a host of illustrious awards, including the Barclays TMA Award for Outstanding Achievement in Opera for Macbeth and Der Rosenkavalier (both in 1994) and for Die Walküre and Siegfried (both in 2002), as well as the South Bank Show Award for "Best Opera" for the Ring Cycle (2004) and a Herald Angel Award for The Two Widows at the Edinburgh International Festival in 2008. Ledger, Sir Philip. 1995. Obituary. ,i>Royal Scoiety of Edinburgh. Oliver, Cordelia. 1987. It's a curious story - The tale of Scottish Opera 1962-1987. Edinburgh: Mainstream. World Changing Project, "Founding Scottish Opera," in University of Glasgow World Changing (University of Glasgow, 2010); http://www.worldchanging.glasgow.ac.uk/article/?id=52 (accessed April 25, 2019). World Changing Project. "Founding Scottish Opera." In University of Glasgow World Changing. 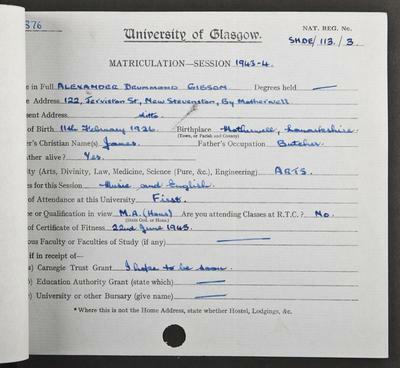 University of Glasgow, 2010. http://www.worldchanging.glasgow.ac.uk/article/?id=52 (accessed April 25, 2019). World Changing Project. "Founding Scottish Opera." University of Glasgow World Changing. University of Glasgow, 2010. 25 April 2019 <http://www.worldchanging.glasgow.ac.uk/article/?id=52>.